These plants and animals are all mixed up! Can your child help them get back to their proper environments? She will need to look at the jumble of plant and animal names, and then decide which of the six different environments they belong in. Does an oak tree belong in the desert? After she finishes this worksheet your child will have practiced her basic vocabulary while using her scientific knowledge to make informed judgments. 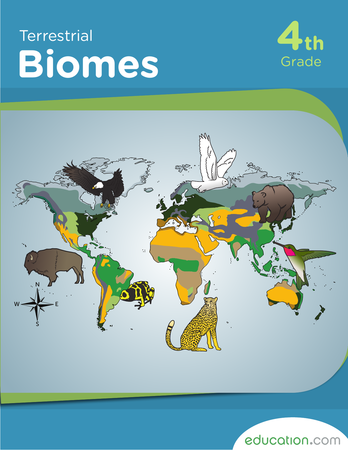 A biome is a community of plants and animals that occupies a distinct region.